A visually fascinating toy that's full of colour and optical effects. 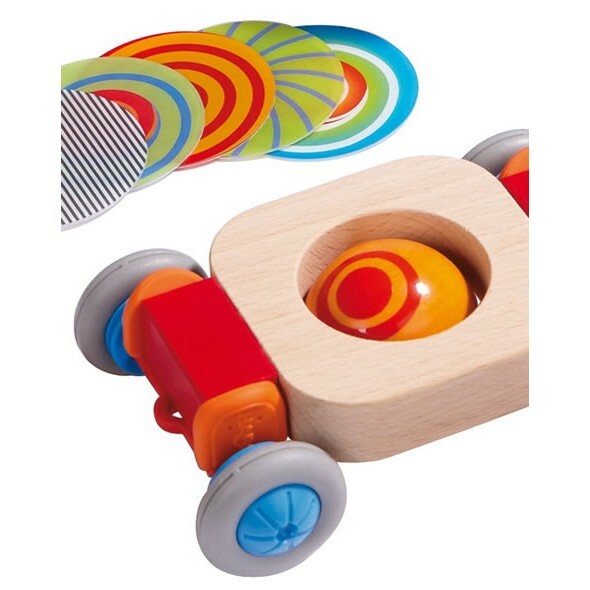 Colour, shape and movement experiments in a playful, high quality wooden toy which encompasses a vehicle, spinning tops, roller and peg, a seesaw and a half pipe roller. Play and show your child all the different possibilities and help them explore the different parts and games. 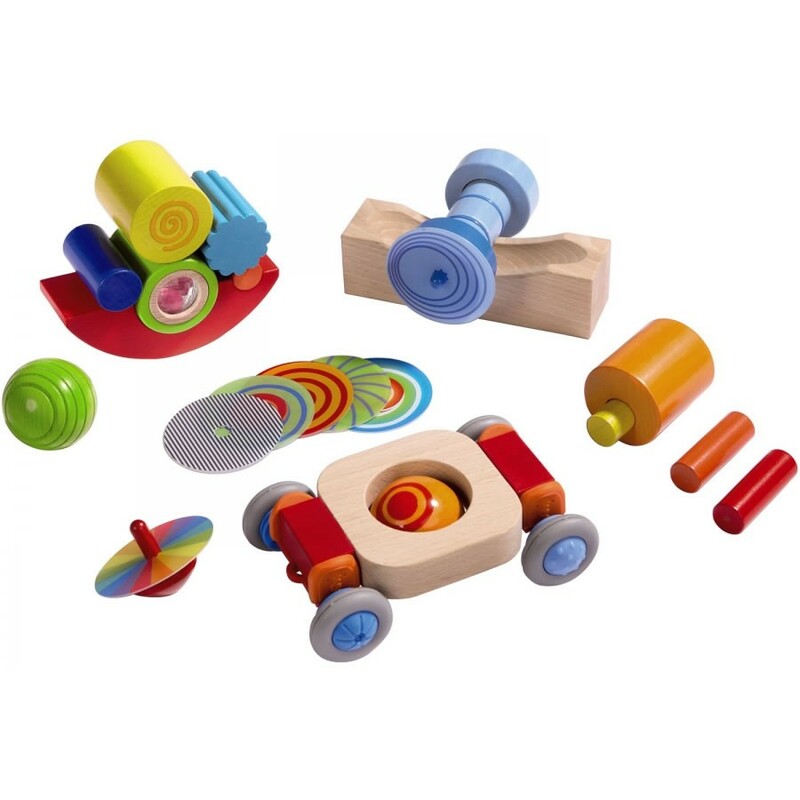 There's so many ways to play and explore with this set, the wheels can be removed and used on the seesaw or the half pipe creating all sorts of funny contraptions. If you want to encourage your child's motor skills and concentration through play then this is an excellent toy to choose.